Raaga.com: Tamil Nadu C.M. Jayalalithaa: Working with Manorama has been etched in my memory forever! Tamil Nadu C.M. Jayalalithaa: Working with Manorama has been etched in my memory forever! Gloom spread all over the South film industry with the demise of the veteran actress Manorma, popularly revered as Aachi (Mother). From Superstar Rajinikanth to contemporary stars like Dhanush, Vijay, Ajith Kumar, Vishal and other stars everybody paid their rich homage to the legendary actress. She was such a versatile actress that she could switchover from comedy to emption effortless and had the inborn talent to portray any kind of role. It was her very ability that fetched her prestigious title of Pombalai Sivaji i.e. crowned as Woman ‘Sivaji Ganesan’!! Honorable Tamil Nadu C.M. Jayalalithaa, who had the privilege of working with Aachi in the 60’s in her condolence, recalled her early days when she had a blast working with Aachi. She added, “The passing away of Aachi marks the end of an era when acting was revered as divine. 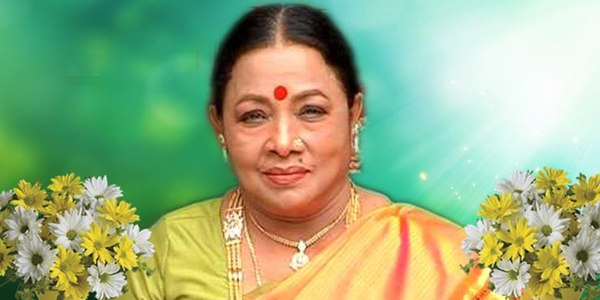 In her demise the Tamil film industry has lost a gem of an artist. 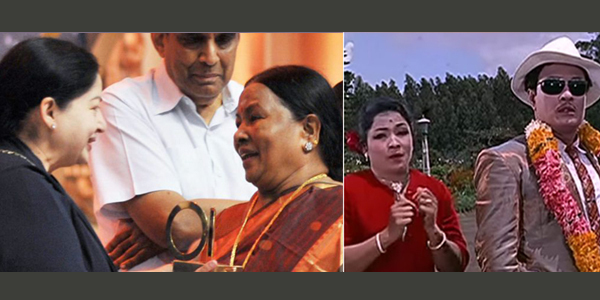 Her death is a huge loss for the Tamil film industry and the void created by her cannot be filled by anybody. I am deeply anguished by her death"
Saluting Aachi for her versatility she said, "She made a huge achievement in the annals of Indian film industry by acting in over 1,300 films and has acted with heroes of past and present generations, including Puratchi Thalaivar MGR and Sivaji Ganesan and ruled Tamil cinema for over four decades,"